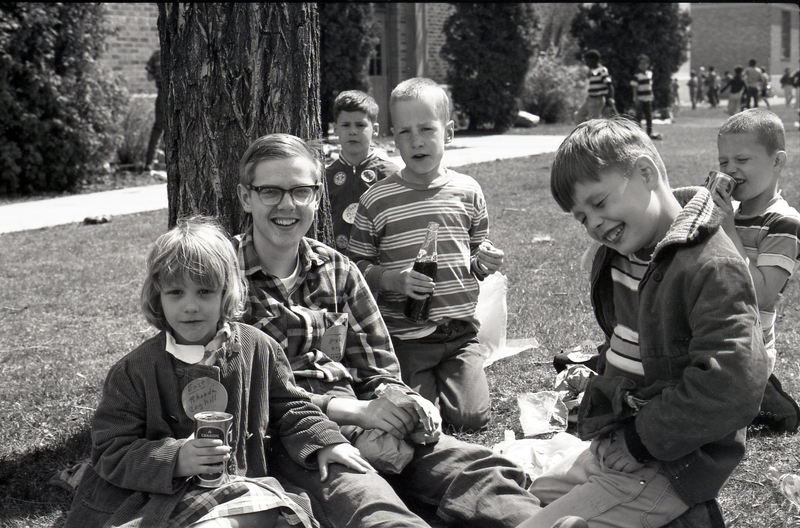 The name may have changed over the years, but the commitment made when the forerunner of SNAP (Spokane Neighborhood Action Partners) formed in 1966 remains its guiding purpose today. SNAP’s mission was, and is, to provide people of low income with access to needed resources, and to help them make the kinds of connections that create opportunity. Our goal always has been to help build a vibrant community that treats everyone with dignity and respect by advocating for that which is fair, honorable and equitable. 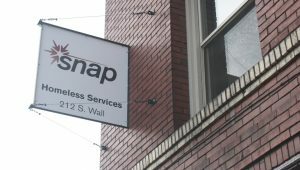 The foundation for what is now SNAP got its start in the summer of 1966, when Father Frank Bach, then the director of Catholic Charities in Spokane, enlisted the assistance of the St. Vincent DePaul Society to establish three community centers, in Hillyard, East Central and West Central Spokane, each with a goal of helping low-income people meet their emergency needs as well as to provide a multitude of services within those communities. 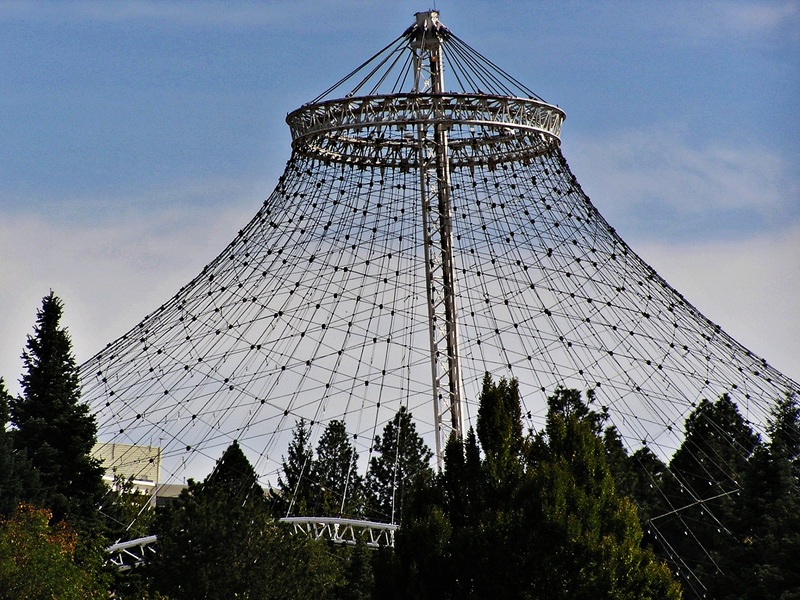 These centers and the community-based programs they initiated were so successful that the Spokane Community Action Agency took over the administration of the neighborhood centers. Unfortunately, that agency lost its funding in the summer of 1973. The programs would have been lost were it not for the intervention of a number of community leaders. New funding was secured and Catholic Charities again administered the program. Striving to fill growing needs, the Neighborhood Centers had developed an annual budget in excess of $4 million by 1985 and were growing beyond the scope of Catholic Charities. 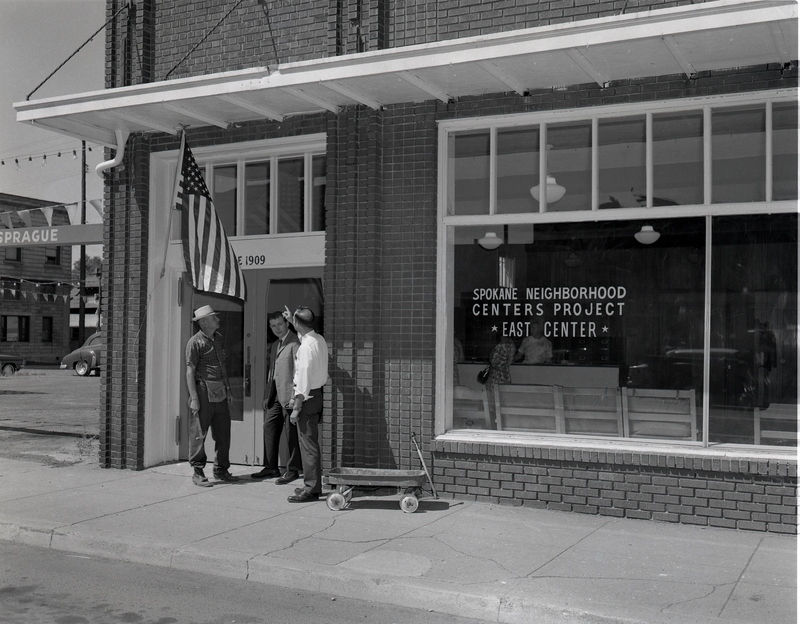 On September 12, 1985, with Tom Pleas as Director, the centers became Spokane Neighborhood Centers, Inc. The incorporators were: P.J. Grabicki, Thelma Pugh, Robert Huckabay, Sheri Barnard, Clarence (Bud) Barnes, Nora Beggs, Ed Stevens and Bill Fearn. The corporation adopted bylaws on December 10, 1985. Five years after incorporation, leadership shifted with the announced retirement of Director Pleas. The agency’s associate director, Larry Stuckart, was formally named executive director in July 1992. Julie Honekamp assumed the role of SNAP and SNAP Financial Access CEO in June of 2011. From 1985 through the present, the agency has expanded services to meet the needs of a growing population, proving itself to be more than just “neighborhood centers.” Through continuing expansion and a variety of programs, the agency strives to facilitate long-term solutions for the people it serves. The agency officially became Spokane Neighborhood Action Programs in December 1991, a name chosen to reflect the breadth of the agency’s operations. In Sheri S. Barnard’s Mayoral Proclamation, the agency pledged to continue providing quality services and to ensure that Spokane remains a place that cares about its citizens. In 2008, the name was officially shortened to “SNAP” and legally changed to Spokane Neighborhood Action Partners. With a re-energized mission, vision and values statement, as well as a new visual identity, SNAP continues to respond to individual and community needs by providing a range of opportunities that offer stability to our vulnerable neighbors and encourage economic self-sufficiency for those who are able.